Unemployment at a 17-year low. The stock market setting records. Consumer confidence near its best level since 2000. 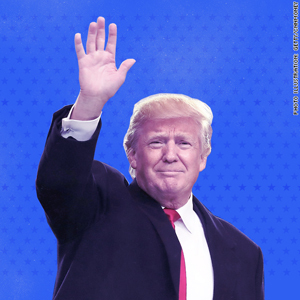 There's a lot to like about the economy during the first year of the Trump administration. Economists and historians will tell you that presidents get too much credit or blame for the state of the economy, especially in their first year when their policies have only barely started to affect businesses and consumers. Many factors make the country's economic fortunes go up and down. And the economy doesn't have an on-off switch that gets flipped every four or eight years. "We tend to act like the economy is based on what the president does. That's just the way the national mind thinks of things," said historian Douglas Brinkley. "But there are so many forces at play. If the stock market is setting records or unemployment is low, you might as well take credit because you'll be blamed when it goes the other way." At the same time, the president -- along with lawmakers on Capitol Hill -- clearly play a central role shaping economic and financial policy. Plus, the president has a bully pulpit that can influence sentiment. We looked at the facts -- key measures in the first year of the seven presidents who have served over the last four decades. 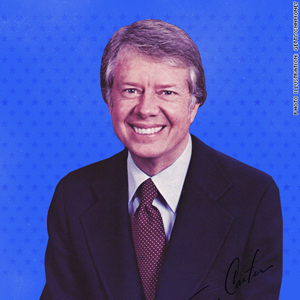 Carter is generally remembered as a president who had a bad economy during his one term in office. But the first year was pretty good. The economy had come out of recession about two years before he took office, and it was starting to pick up speed as he was sworn in. The problems came later in Carter's administration, when the economy fell into recession in January 1980 as he prepared to run for reelection. The combination of high inflation and high unemployment led to the use of the term "misery index" that combined those two readings, and helped to lead to his defeat. 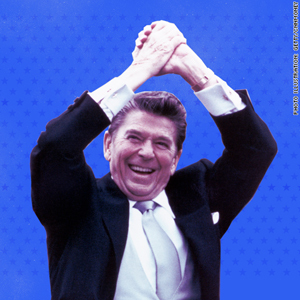 The economy did well during Reagan's eight years in office, but the first year was a difficult one. The economy fell into recession in July 1981, a relatively long downturn that lasted until November 1982. But Reagan is proof that a bad first year can quickly be forgotten by what happens later in a president's tenure. "It's not after year one or two that people judge a president," said Brinkley. "That can affect midterm elections. But what presidents are remembered for are the numbers when they leave office." 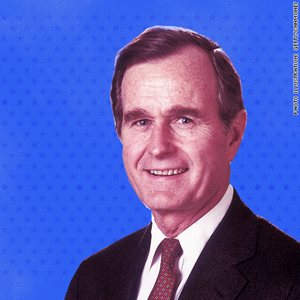 The first President Bush shows the advantages of inheriting a strong economy. Employers were hiring, and the overall economy was growing in 1989. All this was enough for the stock market to shoot higher -- the best first year performance of any of these seven presidents. But the good news didn't last. The economy fell into recession by the following summer, and even though it was a short downturn, unemployment continued to climb through most of the election year of 1992. And the troubled economy helped lead to his defeat in the election that year. Clinton had a strong economy throughout his tenure, but his first year was nothing to get excited about. 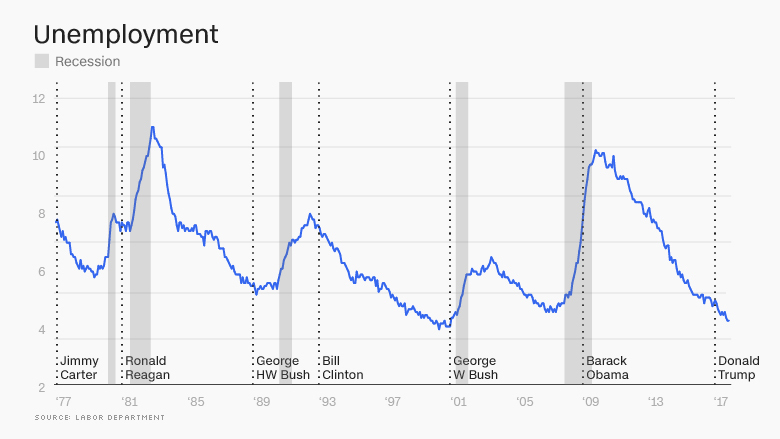 Unemployment was relatively high when he took office and it remained mostly unchanged, though somewhat higher, by the end of 1993. GDP growth was good but not great. The stock market posted modest gains. Later in his term the tech boom led to a very strong economy. 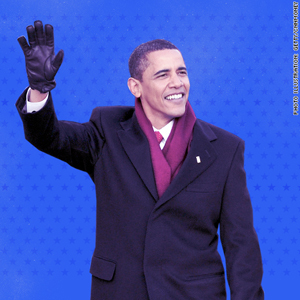 Unemployment fell below 4% in his final year in office. The federal government actually started running surpluses rather than deficits. 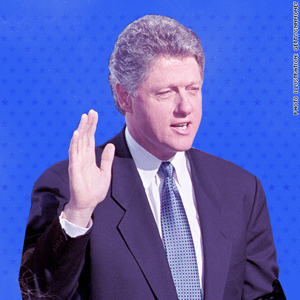 But that was all difficult to foresee in Clinton's first year in 1993. 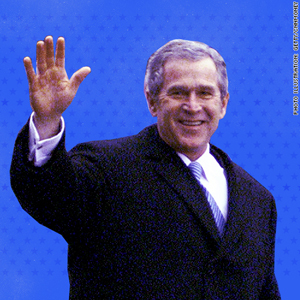 The economy fell into recession in March 2001, shortly after George W. Bush was sworn into office. And economic numbers for the year were pretty poor as a result. While the recession was over by November, it limited GDP growth for the full year. Employers cut jobs and unemployment jumped. Stocks fell. With the terrorist attack of 9/11, most of the country wasn't focused on the economy at the end of that year. The bigger problem for Bush's economic legacy came in his last year in office as the Great Recession took hold, plunging the economy into its worst crisis since the Great Depression. Obama took office at a brutal time. The global economy was in crisis. Employers, starved for cash, were slashing payrolls. Unemployment was about to soar. GDP would tumble, resulting in the worst year for that key reading in more than 60 years. But with a massive stimulus package passed early in the year, including tax cuts, and a bailout of the auto industry, things started to turn around. The recession, which started in December 2007, ended in June of 2009. And stocks, after bottoming out in March, started to climb, as investors poured back into the market to snap up some bargains. Update: This article has been updated with numbers that were not available when it was originally published in December.